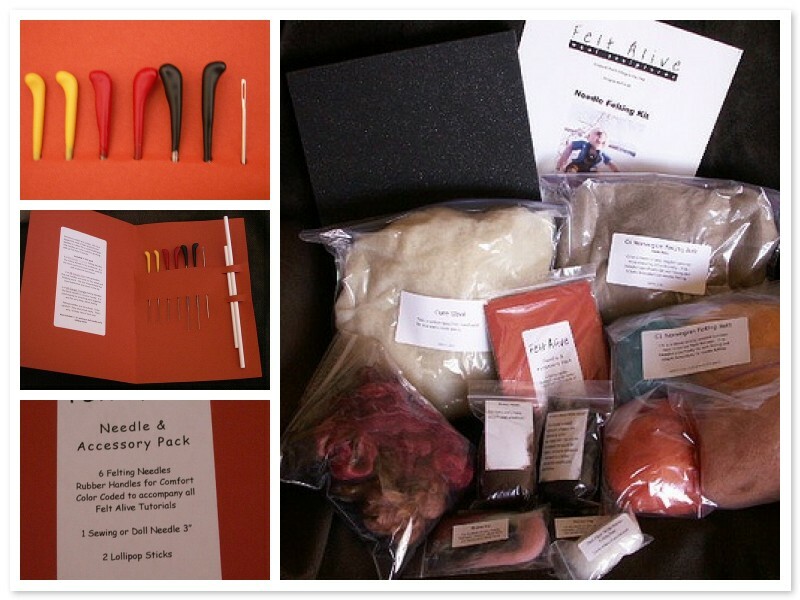 This is the kit I put together for students of my Felt Alive online class. I have stuffed it full of my favorite materials for making my Felt Alive characters. It is the kit I wish I would have had when I first got started. I am having so much fun teaching my techniques - It makes me so happy to see my students projects come to life! I always feel like a proud auntie. My online class is fun and innovative. I wrote an 8 chapter tutorial/ebook loaded with pictures and step by step instructions and to supplement this, I have created an extensive video library demonstrating the various techniques. My students start when they want and work at their own pace, all while getting personal instruction from me. We are having a lot of fun!! Click Here for more info!